I am a lover of math. I was that girl that used to create handouts for the class with tricks on how to learn pre-calculus rules in High School. And I wasn’t someone who was shunned by my classmates either. My friends would look forward to my odd interpretations. At first they would laugh at my angle, and then they would come and hug me once they aced their test. It was really all about having a different perspective. I honestly don’t remember my silly rules at this point, but I did this for at least 8 years of schooling. 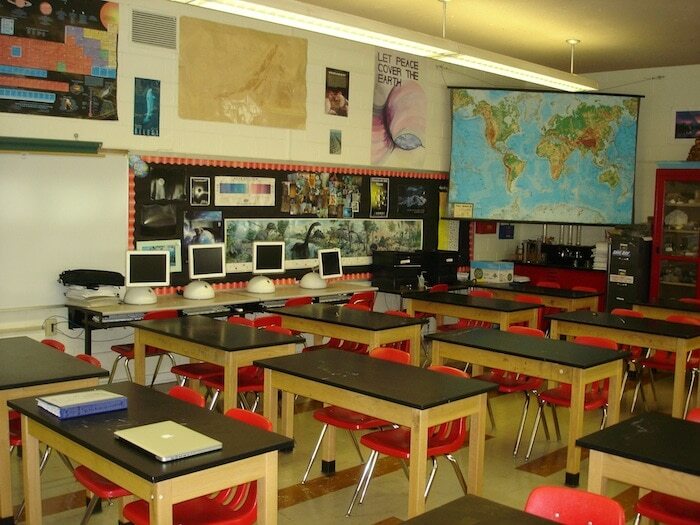 English and science on the other hand …. not my cup of tea. I think the reason why I had such an affection for math and not for the other subjects was because I had an amazing math teacher in elementary school. He made learning fun. I will NEVER forget the day he came into our class in the 7th grade and started to rap a song about math. Math really is… a whole lot of fun. Of course, we abused him for weeks after that song. But I had to give it to him. He was really trying to reach his students. And he did – at least with me. From then on, I sort of tried my hardest because I wanted to make him happy. And then it just stuck with me. I wonder if things would be different had I not had him as my teacher. And I have a feeling they would be. Here’s a chance to honor a teacher in your child’s life. That special someone that has made an impact. 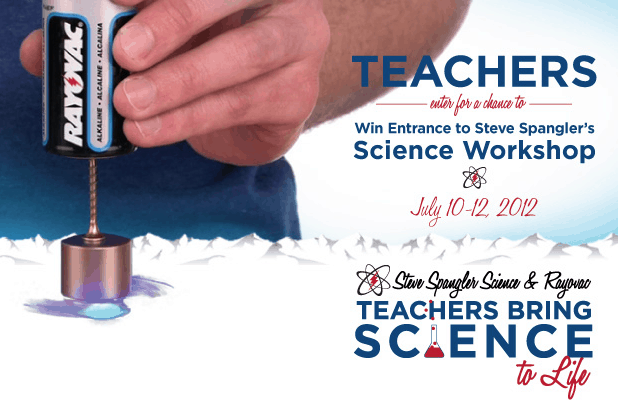 Rayovac is teaming up with Steve Spangler Science and his team of award-winning teachers to provide three educators entrance into Spangler’s hands-on science institute, Science in the Rockies, July 10-12, 2012. Through May 9, educators at any grade level can nominate themselves for a chance to win one of three admissions by submitting an online essay, up to 300 words, at www.rayovac.com/science , explaining how they inspire students and bring learning to life. From the submissions, three inspirational teachers will be selected by Rayovac to win admission worth $895 to attend Science in the Rockies, where attendees will learn great classroom techniques and engaging experiments sure to inspire and captivate their students. More information, the official contest rules and the entry form can be found at www.rayovac.com/science. You can find more info on Science in the Rockies workshop here.